I have always loved face masks. But somewhere down the line I became very fascinated (and maybe a little obsessed) with sheet face masks. And I do not see this love affair ending anytime soon. When I received the colourful and fun packs of MaskerAide's sheet masks, it appealed to me immediately. They had me at the lovely packaging. 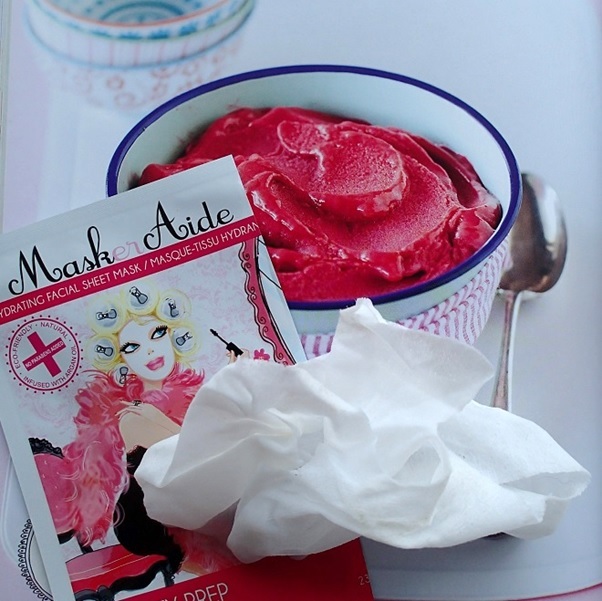 MaskerAide's sheet masks are literally drenched in a highly concentrated Argan Oil based serum. They are packed with vitamins, nutrients and other specially formulated ingredients targeting specific skin concerns! We trialled the first four at DB Reviews. I enlisted the help of my mum, who is currently visiting us. She put Beauty Rest'ore to test. Infused with Argan Oil, Green Algae and Vitamin E, this beautifully fragranced mask helps to regenerate and repair the skin leaving it smooth and supple. When mum put the mask on, she said it felt very cool and relaxing. I began to read out the mask details to her and noticed that within a few minutes she had fallen asleep. The mask had done what it claimed! As per the pack "The cooling effect of the mask helps relax facial muscles easing the signs of stress and fatigue while the natural Lavender Oil relaxes your body and mind." When mum woke up, her skin felt fantastic. Full marks to Beauty Rest'ore. soaked in all the goodness offered by the mask, leaving my skin hydrated and fresh. day. The Weather Warrior mask with Aloe, Green Tea, Witch Hazel and Argan Oil was perfect to help soothe and calm my tired skin. All the masks are effective, work very well for sensitised skin and are free from parabens, mineral oils, artificial fragrances and harsh dyes. We loved the masks! I love the pretty illustrations on the packaging and these sound great!